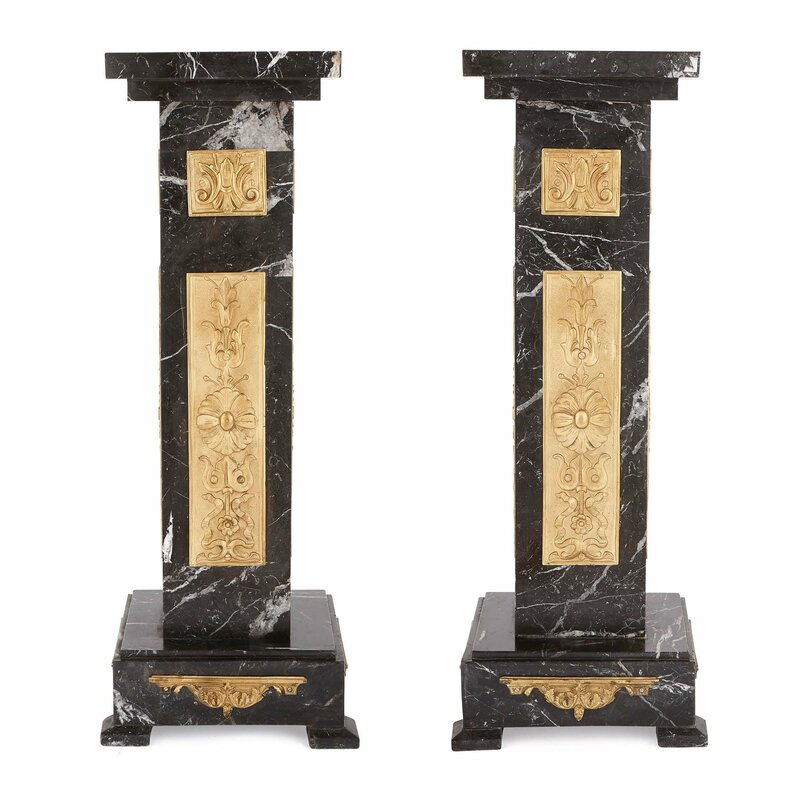 Crafted in France in the 1920s, these black marble pedestals are truly Art Deco in style, with their sharp, geometric outlines, and simple ormolu mounts. 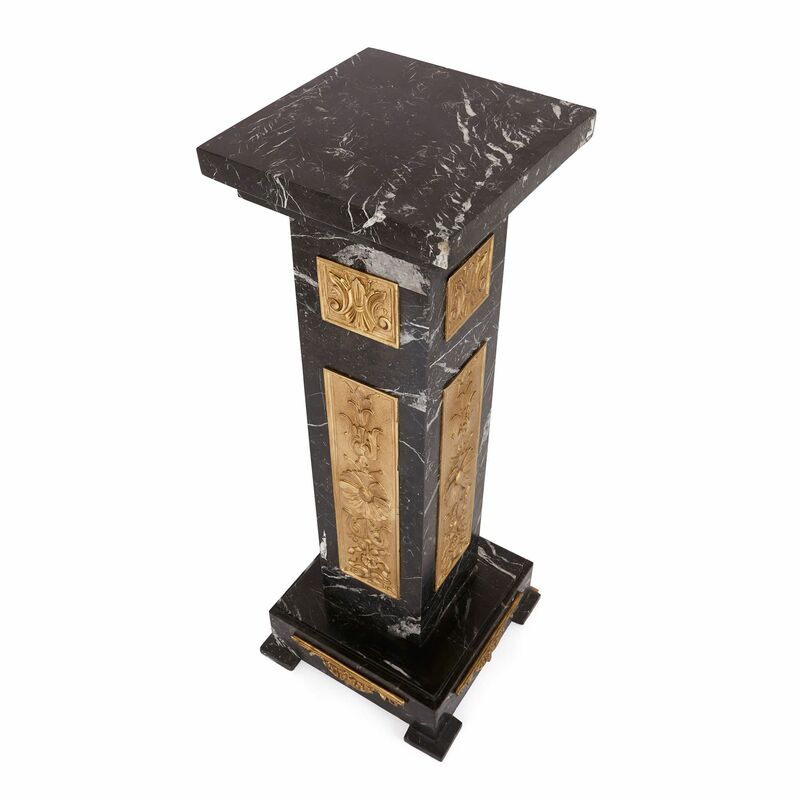 Both pedestals have been crafted from fine Nero Marquina marble, which is black with white veins. The pedestals stand on square bases, which are decorated with scrolled, foliate ormolu mounts, and set on marble feet. 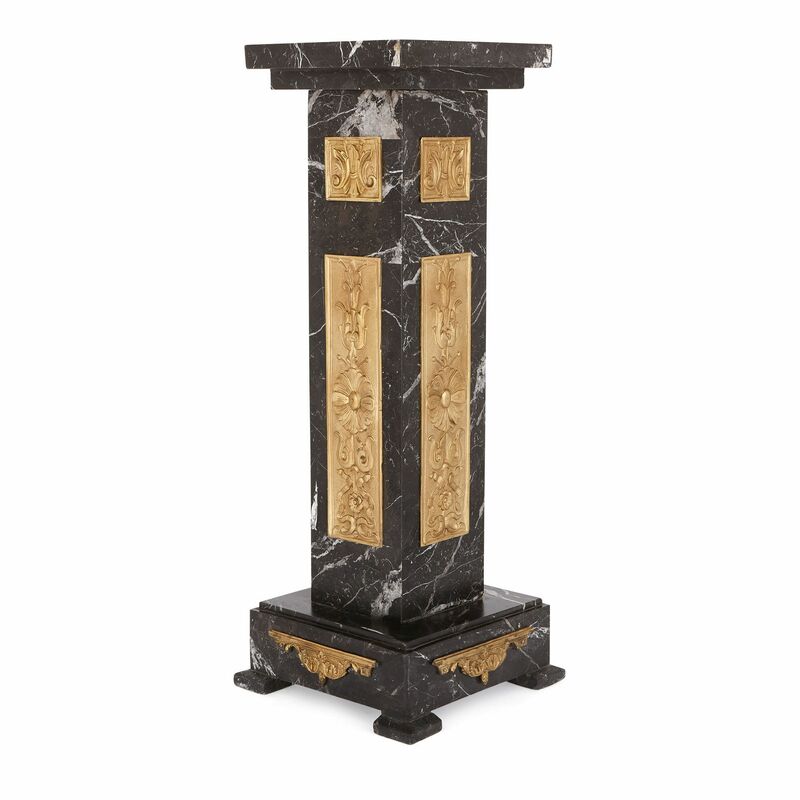 The marble pedestal shafts are mounted with tall, rectangular ormolu panels, which are decorated with stylised, foliate patterns. 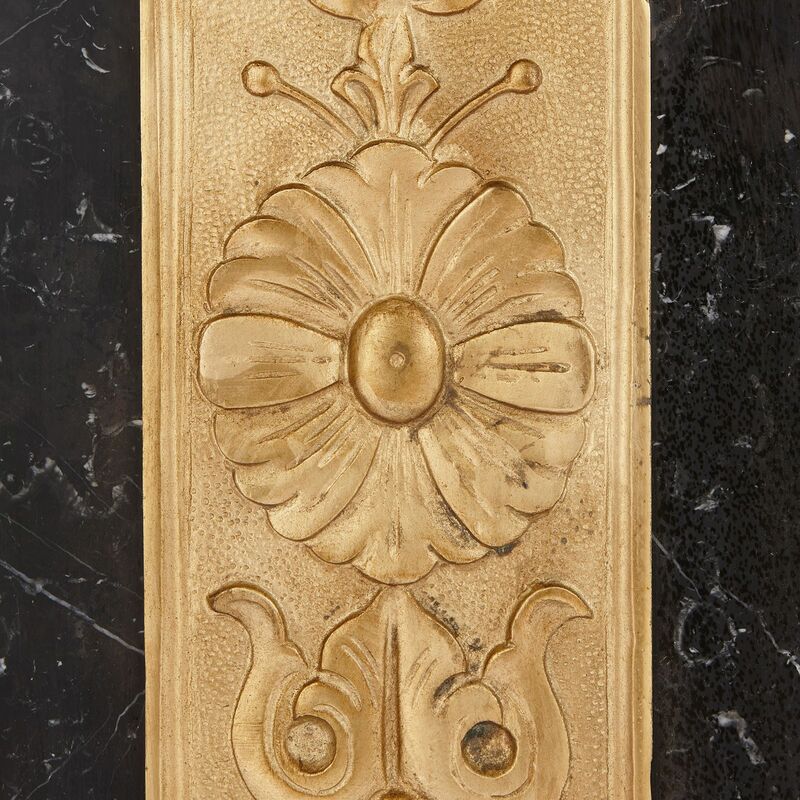 Above these are smaller, rectangular ormolu mounts, which are similarly ornamented. 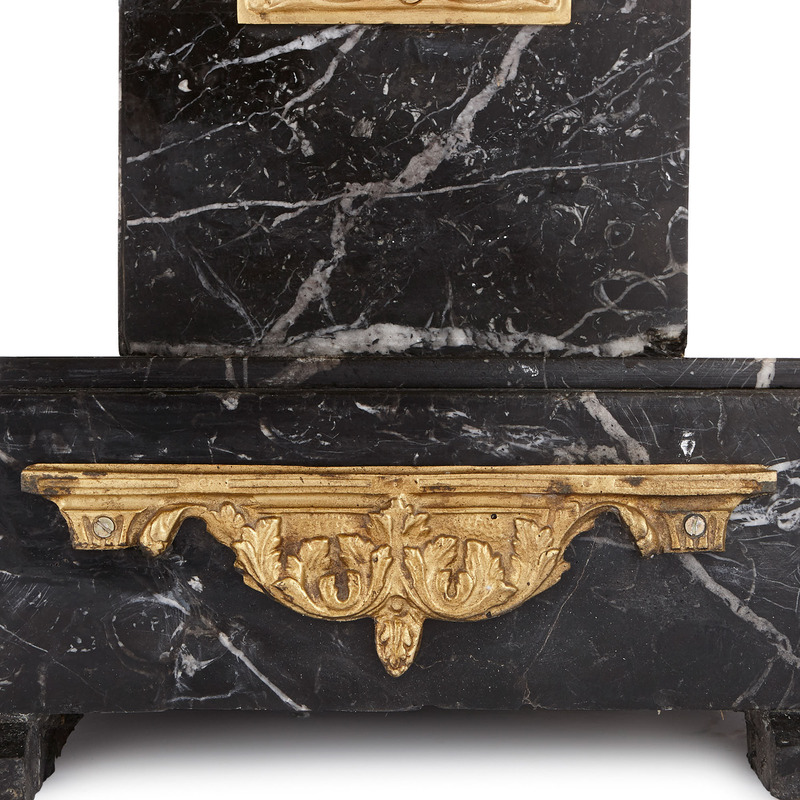 Stepped, square-shaped marble tops cover the marble pedestal shafts. 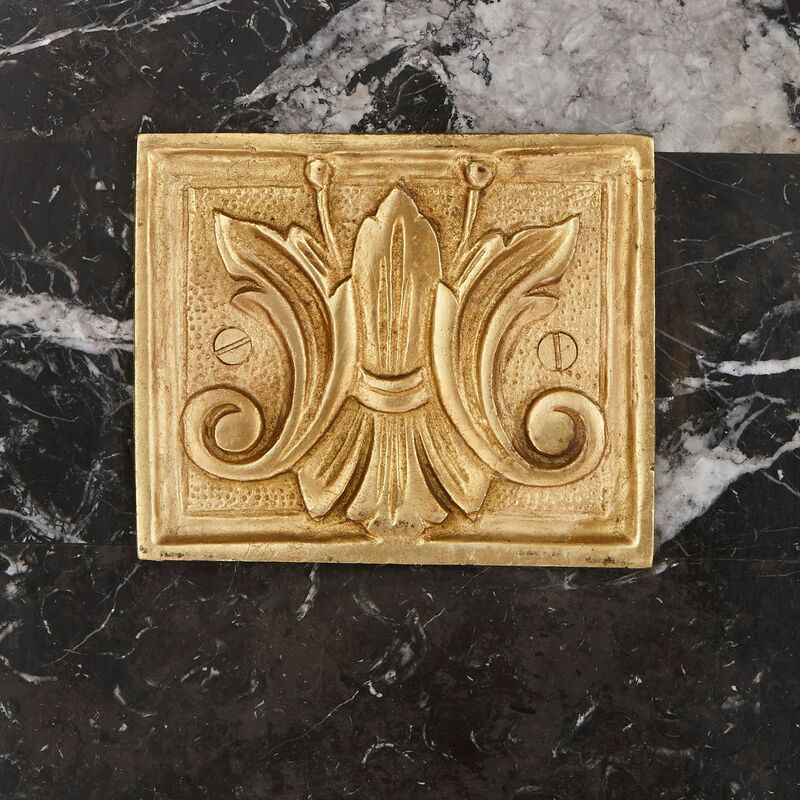 These provide a large flat surface on which to place a fine vase, candelabrum, or sculpture.